This cheat sheet is designed to tell you everything you need to know to get familiar with the new motorcycles, without burying you in thousands of words of twaddle that you don’t have time for. 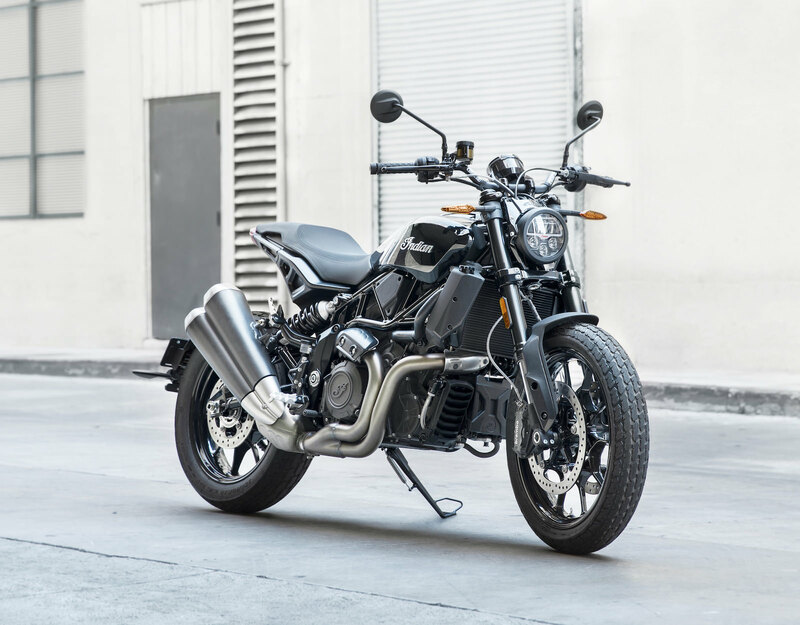 The new Indian FTR 1200 and FTR 1200 S are almost certainly the most hotly anticipated motorcycles of 2018, certainly in this sector of the motorcycle world. The design of the two new bikes is intended to evoke the styling cues and performance characteristics of the dominant Indian FTR 750 flat track race bike – but in a daily rideable, street-legal form. 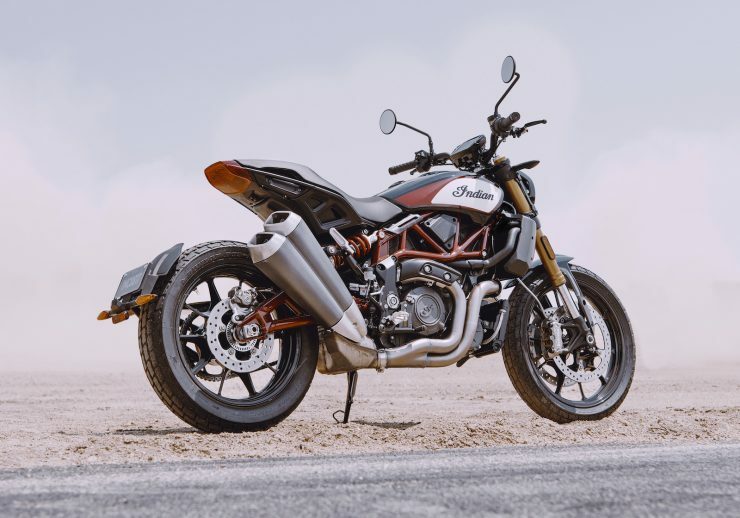 The original concept for this was the Indian FTR1200 Custom, a concept bike that enjoyed broad acclaim both in the motorcycle media and the general motorcycling public. 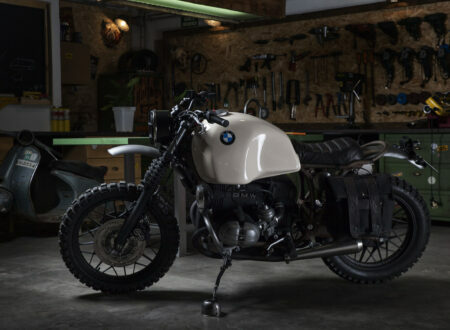 As you would expect this production version of the concept bike is a little more practical, with two full seats, a traditional headlight, front and rear fenders, a legal exhaust, and a more generously proportioned fuel tank capacity. 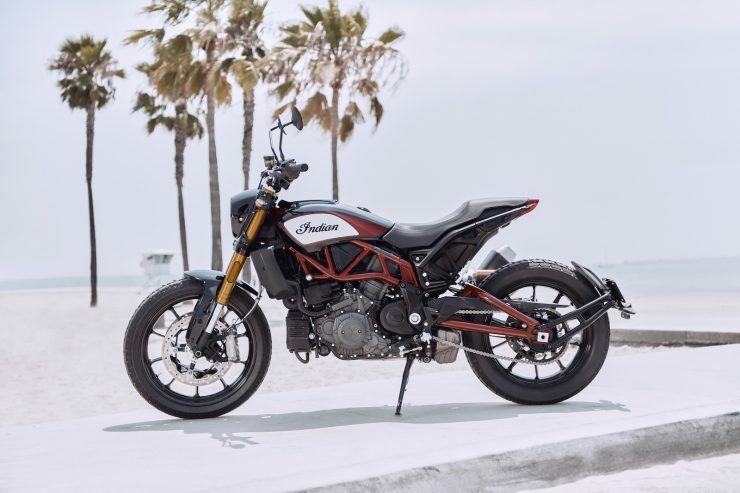 Indian will be offering both models for sale from Spring 2019 in the North American market, with most other world markets following shortly thereafter. 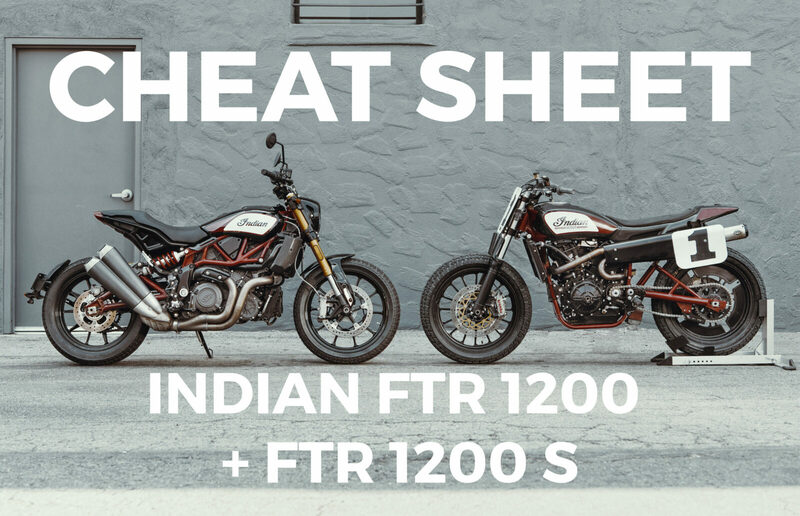 The main question most people will be asking is: what’s the different between the Indian FTR 1200 and the Indian FTR 1200 S? 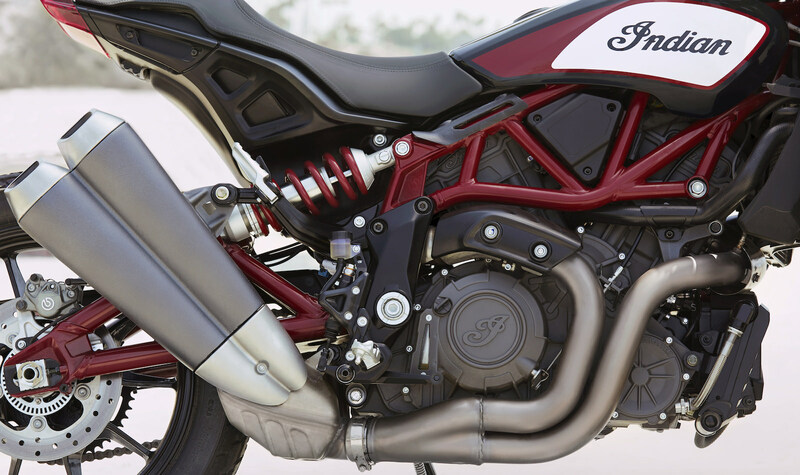 What’s The Difference Between The Indian Scout FTR 1200 + The FTR 1200 S? The primary differences are suspension, the onboard display, the available colorways, and the availability of traction control, lean-angle sensitive stability control, and wheelie mitigation control. 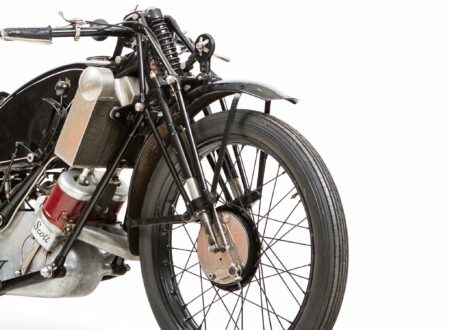 Both motorcycles have the same specification engine, brakes, wheels, exhaust, and tires. 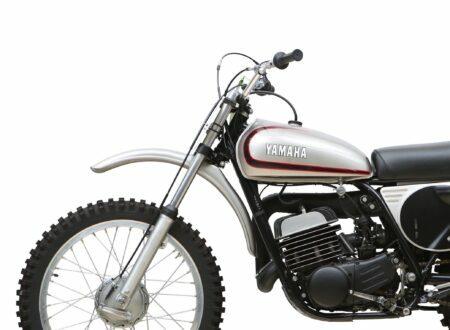 The price point is $2,000 USD apart, with the entry-level FTR 1200 retailing for $12,999 USD and the FTR 1200 S selling for $14,999 USD. Both versions of the FTR are fitted with a liquid-cooled 1203cc DOHC 60 degree V-twin with 4-valves per cylinder, the bore x stroke is 4.016″ x 2.898″, the compression ratio is 12.5:1, and it has closed loop fuel injection. 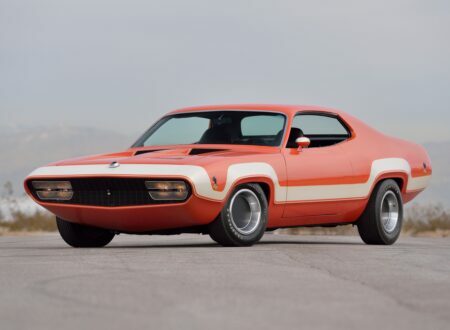 The engine sends power through a multi-plate power-assist slipper clutch into a 6-speed constant mesh transmission, then via a chain-drive final to the rear wheel. 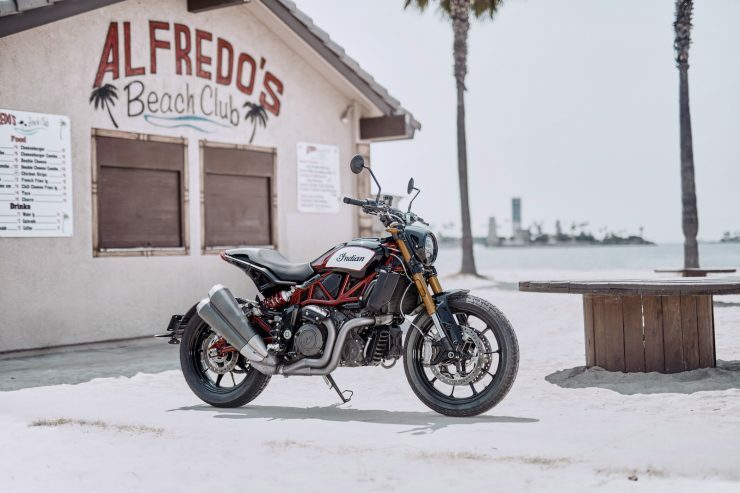 The chassis is a tubular trellis-style steel frame with a lightweight aluminum subframe, there’s a single side rear monoshock mount and aluminum structural support parts used throughout. 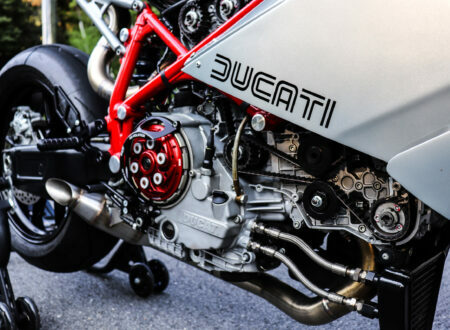 The engine acts as a stressed-member to help further reduce weight and increase rigidity. 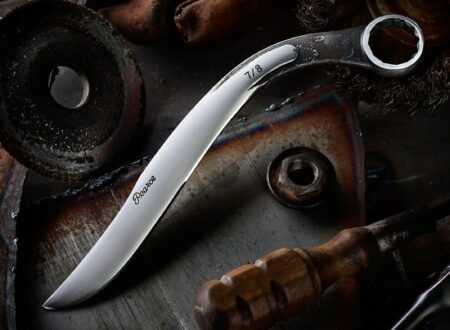 Both models feature the same front and rear braking systems, provided by world-leader Brembo. Up front there are twin 320mm rotors with Brembo M4.32 4-piston calipers and in the rear there is a single 265mm rotor with a Brembo P342-piston caliper. Front: Inverted telescopic cartridge fork, 43mm diameter, 5.9″ travel. Rear: Monotube IFP, 5.9″ travel. Front: Fully adjustable inverted telescopic cartridge fork, 43mm diameter, 5.9″ travel. Rear: Fully adjustable Piggyback IFP, 5.9″ travel. Anti-lock braking system (ABS), full-time, which can’t be disabled. 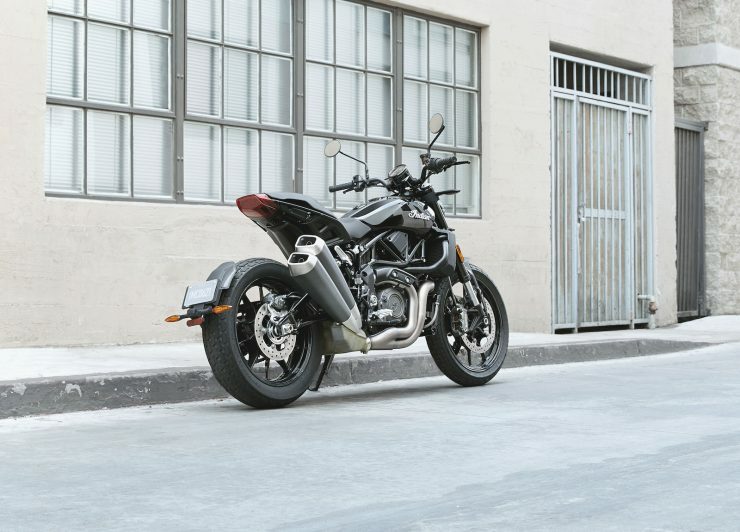 Stability, traction, and wheelie control with an inertial measurement unit that allows for lean angle sensitive adjustments to provide more customization control. Anti-lock braking system (ABS), which can be disabled. The FTR 1200 has a more traditional circular analog speedometer with an LCD sub-screen and a USB fast charger for mobile devices. The FTR 1200 S has a 4.3-inch Ride Command® LCD touchscreen display with high visibility and contrast so it can be clearly seen in bright daylight. Bluetooth® is included with a fast charge USB port for mobile devices. 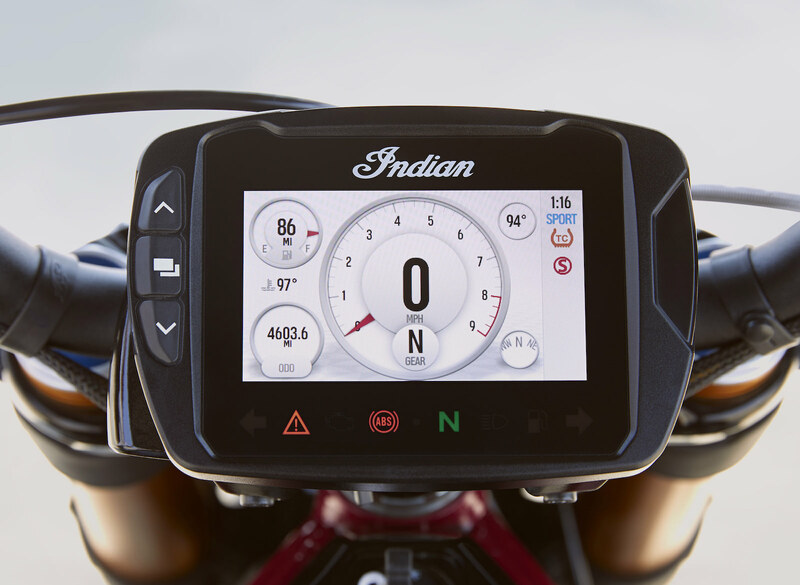 The display is customizable so riders can choose what gauges they want to see while riding. 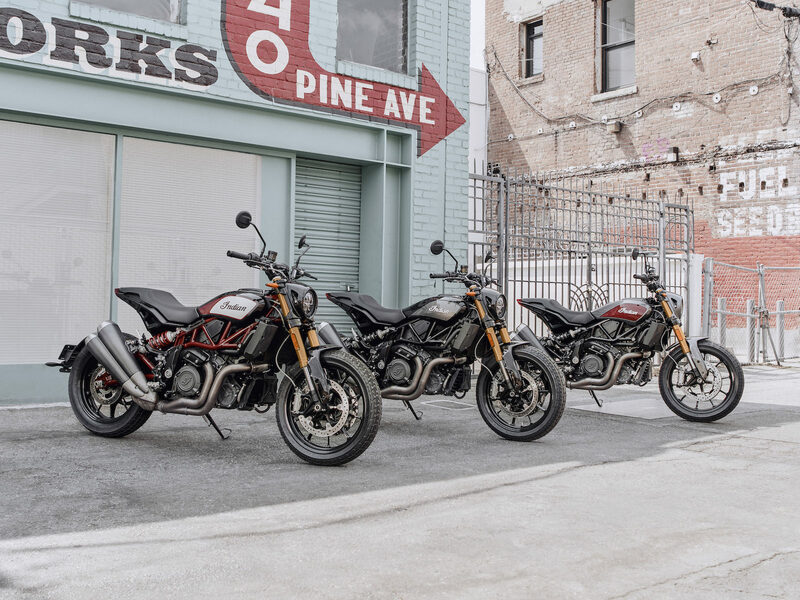 The FTR 1200 is available in Thunder Black. 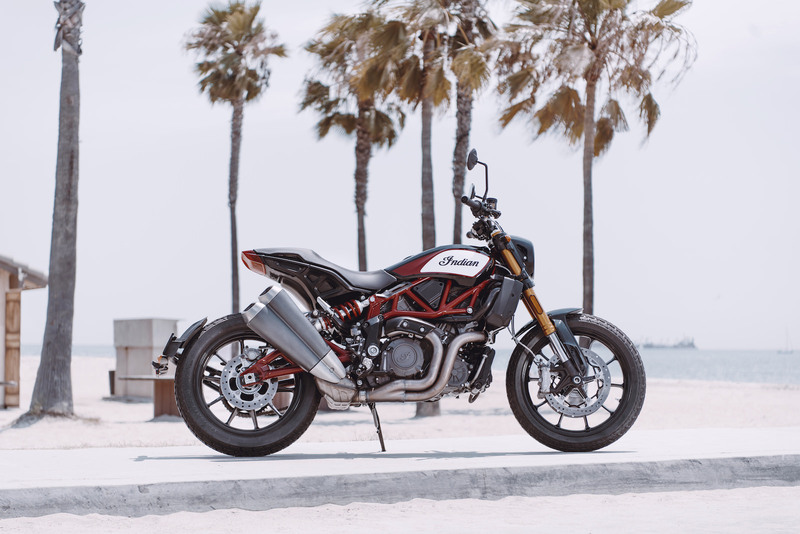 The FTR 1200 S is available in Indian Motorcycle® Red over Steel Gray, Titanium Metallic over Thunder Black Pearl, or Race Replica, the latter of which adds $1,000 USD to the MSRP. As you can see above the $2,000 USD difference between the two models buys you significant upgrades with the suspension, display, and ride assist systems. 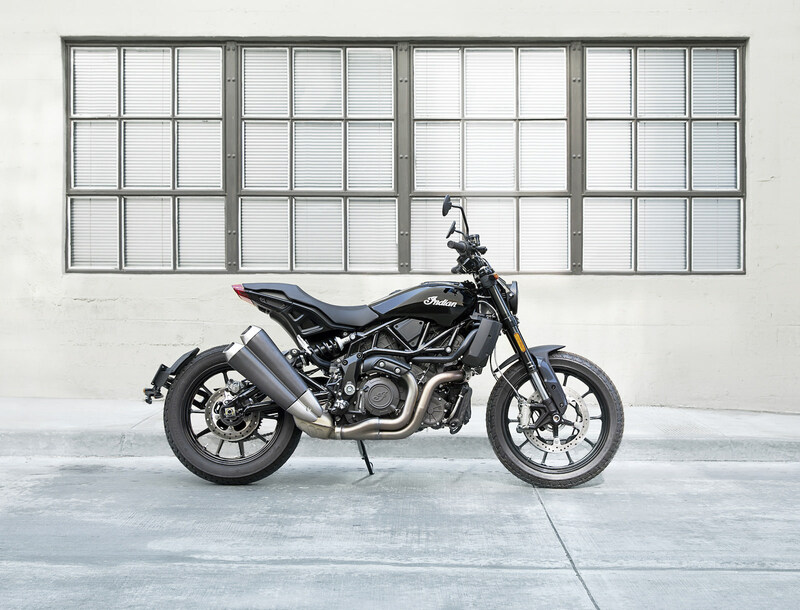 That said, the entry level bike has the exact same power output and braking systems, so you’re going to notice the differences in the corners but perhaps not as much on the straight stuff. 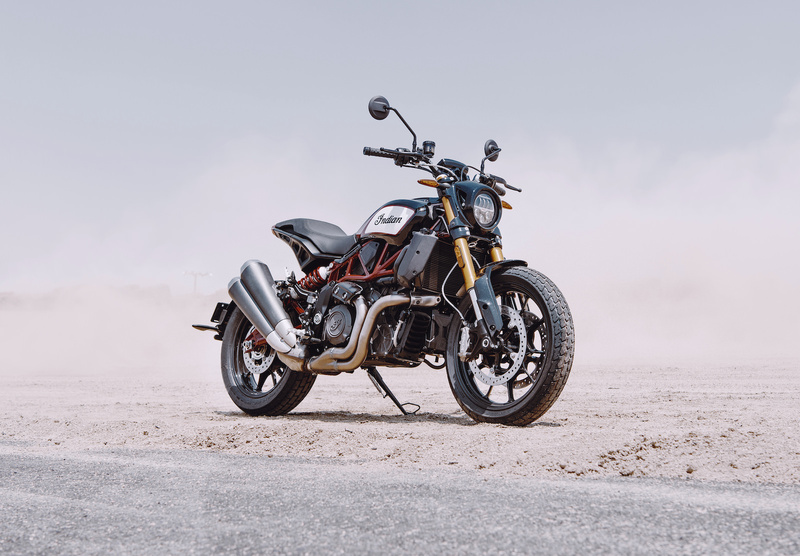 From a personal perspective I like being able to switch off ABS and I’m a huge proponent of always checking the box next to best possible suspension option, so if I were in a showroom myself I’d be taking the FTR 1200 S home.